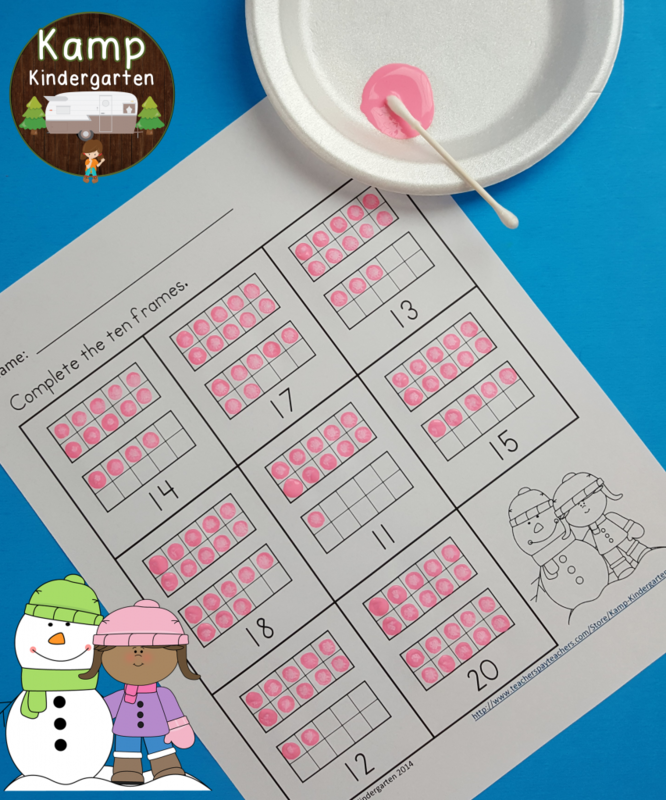 Teachers Pay Teachers has shared one of Kamp Kindergarten’s favorite winter resources on Pinterest! I was excited to learn that TpT had shared this versatile resource on one of their Pinterest boards! This resource offers options for addressing tricky teens numbers. Click HERE to see the pin on Pinterest. This packet contains 32 ten frames no-prep printable pages for your learners to practice counting and labeling quantities of 11 to 20. This resource offers 2 different ink friendly formats to provide differentiation opportunities to best meet your learners’ needs. Just Print & Practice! With the first format option, learners write the numeral for the quantity represented by the ten frames graphic. Learners may write their responses directly on the page or the page may be placed in a plastic sleeve and used as a dry erase write and wipe activity. The second format option allows learners to complete ten frames for a given numeral. 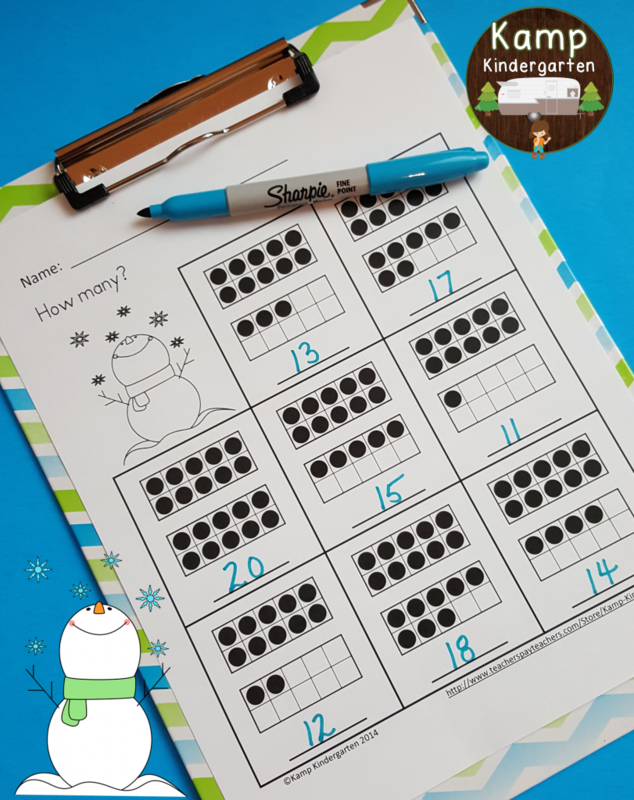 Learners may draw dots in the ten frames or color the spaces to complete the ten frames. 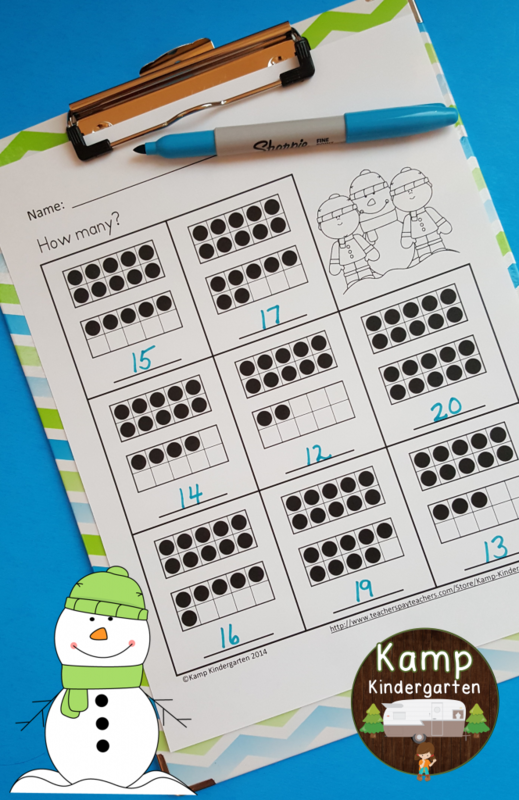 Dot painting ten frames is a great way to keep your students engaged on dreary winter days. These pages are great for dot painting activities. 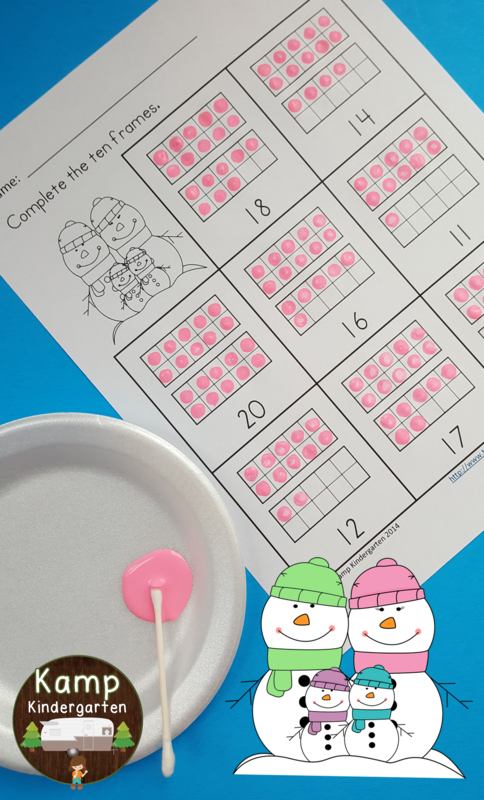 Learners dip cotton swabs in paint and make dots to complete the ten frames. 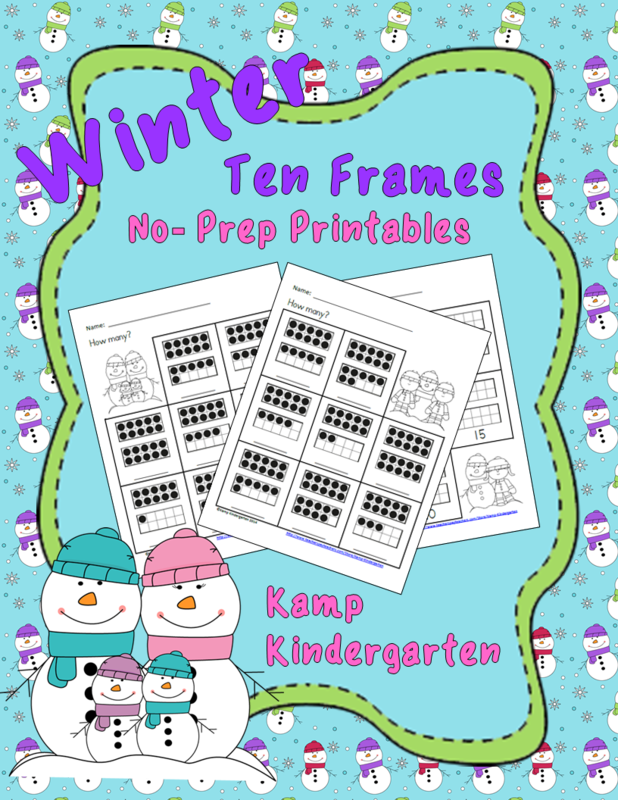 Click HERE to see more winter resources on TpT from Kamp Kindergarten. Are you interested in more great ideas for your classroom this winter? Check out Kamp Kindergarten’s There is No Day Like a Snow Day!!! Pinterest board. I hope you and your learners have a Wonderful Winter!